Lots and lots of changes in the last year. I’m both pleased and disappointed in what I’ve accomplished. I learned a lot, but had many missed opportunities to do so much more. It’s the difference between a typist and an entertainer. A typist is somebody who types words and makes pretty sentences grammarly correct. An entertainer makes up a story, puts it on the market, and then goes off to make up another story. Blunt distinction… but so true. I’ve come a long way in becoming an entertainer, but I’ve got a long long ways to go yet. So, what did I do in the last year? First thing was to set up my publishing company, Hermit Muse Publishing. This is the venue through which I’m publishing all of my works. I will offer trade paperback and e-book editions of my novels, short stories, and collections. The logo on the left will be printed on the back and spine of my paperbacks. As far as production goes… I went in with big goals–four novels and I don’t remember how many short stories I was going to do–and failed. By my count I published six short stories, some of which under the erotica pen-name D. B. Mallory, and have three more in post-production (stories are written, now being flowed into paper). No completed novels. But I learned a ton from what I did accomplish. I’m learning to trust my gut. If I’m dragging my way through a scene, I hit the delete key and go in a different direction. If the last 500 words were a breeze and perhaps even put a smile on my face, I keep those words. Even when I look back at them later and think they’re crap. That just means my critical voice wants to tear something down. I don’t let it. Speaking of 500 words, I’ve learned there’s a kind of rhythm with writing. I work in half hour sessions, and generally get 400 to 600 words in that time. An hour a day gets me about 1000 words. Writing every day gets me a short story a week or a good chunk of a novel done. Next year’s goal is to hit 1,000,000 words in a year. I’ll let you do the math. I’m getting better at recognizing my fears, and living with them. My least productive moments are generally caused by a fear. While I can never be rid of fears entirely, I can deal with them. Often, it’s a matter of sitting in my chair, setting my timer for a half hour, and getting lost in a story. All my worries and inadequacies wash away, and only the story matters in that half hour. Because of that, I’m having more fun with writing than ever. This is, frankly, the best job I’ve ever had. I get to sit alone in a room, and make stuff up, and people get to pay me money for this. My cover art and book design skills have improved as well. Being a one-man publishing show certainly has its advantages, but also comes with more learning curves. 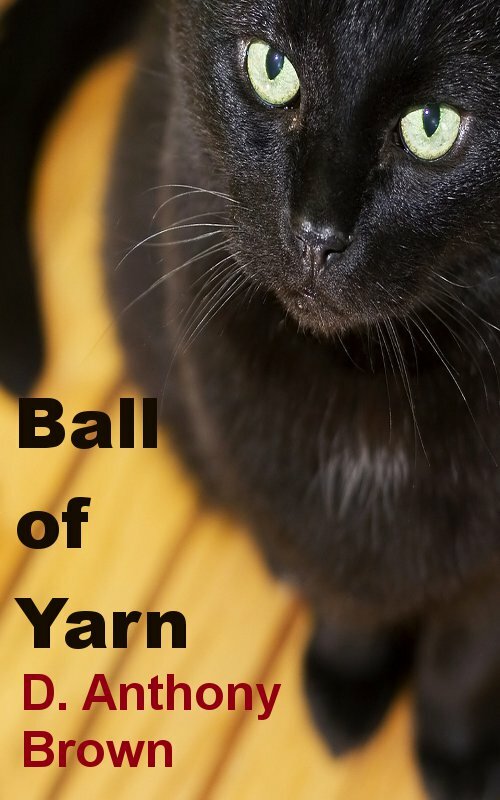 The cover on the right–“Ball of Yarn”–is a permafree story floating around out there in the interwebz. I won’t even link to it. The story is only still out there because I’m too lazy to do anything with it. If you bought Paladin & Other Weird Tales (thank you!) you have this story. 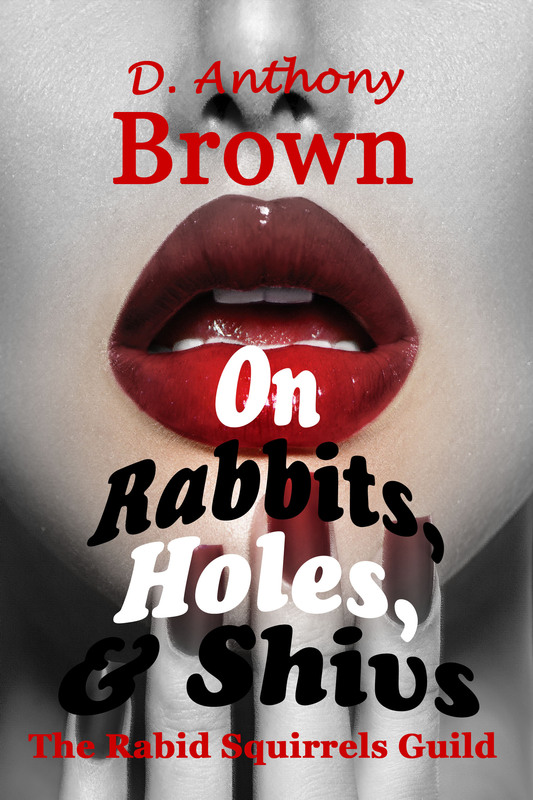 Contrast the “Ball of Yarn” cover (from 2012, I think) with my upcoming short story “On Rabbits, Holes, & Shivs”. Still have a lot of things to improve and learn, but I’m starting to play with my cover art more. Learning to use different effects, fonts, colors, etc. I’m beginning to understand the concept of branding. I’m keeping a diary these days. What do I do each day? How many writing sessions do I have? How many words? Movies? Books read? Games played? Recording this information helps me keep track of my day and be more productive. I highly, highly recommend keeping a diary or spreadsheet to any newbie writers reading this. You will understand why once you do it. Because of my records, I know I’m on a 16 week streak of writing. Not writing every day, but at least a few times every week, going back to the second week of September. Before that, my records are hazy at best. I’ve been doing some education. I took a few of Dean Wesley Smith’s workshops: Openings, Cliffhangers, and Productivity. I also took some of his lectures: Lester Dent’s Plot Formula, Writer’s Block & Procrastination, Writing as Investment, Heinlein’s Rules, Practice… at least those are the ones I can think of. Going forward into 2015? Every Sunday, beginning December 28 this year, I start the week with zero words. My goal is 20,000 words per week. I’m not making that kind of productivity yet, but that’s my goal, and it resets constantly. Many blessings in the coming year!